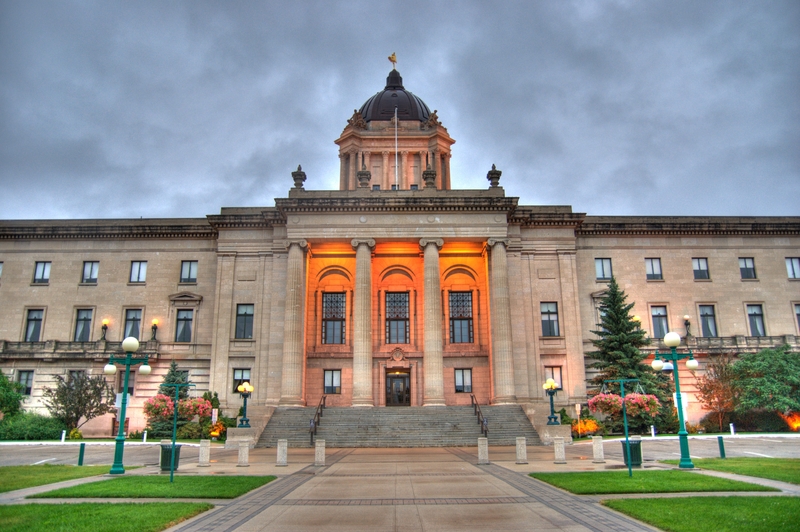 Hermetic Code Tours of MB Legislative Building | Heartland Travel and Tours Ltd.
*With the exception of June 19 which will be replaced by Tuesday June 18 at 6:00pm. Space is limited for these exclusive tours; spots must be booked in advance, and are non-refundable and cannot be changed once booked. Please dress appropriately for the weather as the first 15 minutes of the tour is outside. Cameras are also allowed on the tours as well as a beverage and small snacks. Please note if you have signed up to take the Hermetic Code Tour, you must have valid photo ID on you as you MAY need to present it at the Security Desk when you check in for the tour. Also, ALL BAGS/BACKPACKS INCLUDING PURSES will be checked by security. Backpacks and large bags will be locked up for the duration of the tour. The tour is wheelchair accessible however, the tour ends at the Pool of the Black Star which has two stairs down to it but can still be viewed and enjoyed from the top of the steps. Since 2009, more than 40,000 people have taken the Hermetic Code Tour. 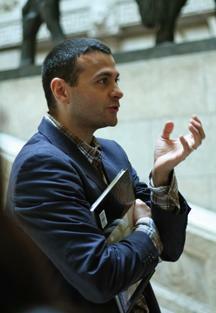 As a result of the Hermetic Code Tour, Dr. Albo has written a new book on architecture in Astana Kazakhstan. Click this link to learn all about it and order your copy today. Spots are non-refundable once booked. Please note the online booking system shuts down at 2pm CT the day of the tours. Between 2pm-5pm the day of the tour, please call us at 204-989-9630 and we can process your booking over the phone with a Visa or MC. Want to take the tour but can’t decide on a date yet? Looking to give someone a unique gift? Gift certificates are also available by calling us at 204-989-9630. 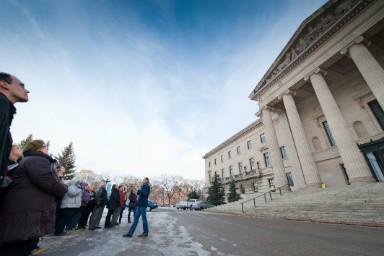 Location:Manitoba Legislative Building, 450 Broadway, main entrance, around the security desk. Would you like to book a private Hermetic Code Tour for your group? We can help. 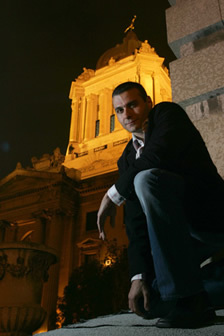 As long as the building is available as well as Dr. Frank Albo, we can book your group your own tour. We have done family gatherings, corporate and convention groups, work events, teams, etc. Would you like a reception after the tour? We can put you in touch with a caterer and you can have a gathering after your tour. 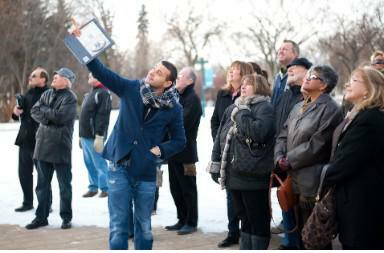 Check out this travel article from Traveller.com about Winnipeg being one of the BEST places they love the most! We rank right up there with Paris, Buenos Aires, Rome, and LA to name a few! Know what else is listed? 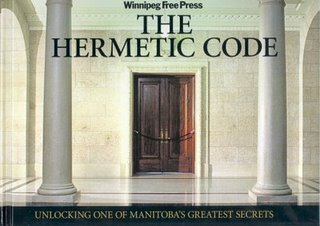 The Hermetic Code Tour was listed as Best Experience in Winnipeg and one of the most original cultural tours the write has ever taken in the world. Read the full article here. Dr. Albo is the recipient of the Distinguished Alumni Award for the Autumn 2016 convocation ceremonies. Read about it by clicking here.